The Portuguese White Fleet, whose name derived from its vessels’ white hulls, is an important part of Newfoundland and Labrador history, Gaspar Corte-Real’s followers had been fishing off the Grand Banks for more than 400 years, but it was not until the 1900s that Portuguese fishermen began prosecuting the North American cod fishery in force. When these ships made calls to St. John’s, the sailors and fishermen became a prominent part of the city’s way of life. However, the year 1955 marked the end of an era for the Portuguese White Fleet when Canada began to protest foreign overfishing and exploitation of its fishery. Following a bitter international dispute over territorial fishing grounds, the last ship of the White Fleet left St. John’s on July 23, 1974. 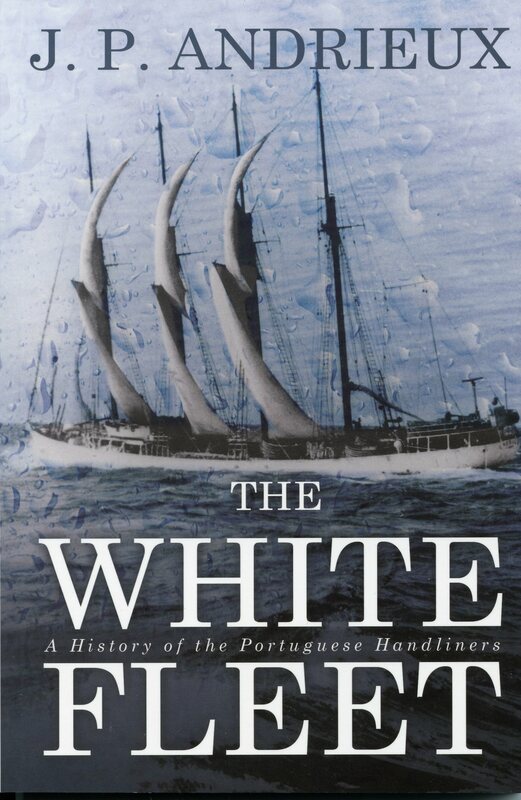 The White Fleet by J. P. Andrieux is a pictorial history of the centuries long relationship between the Newfoundland and Portuguese fisheries.